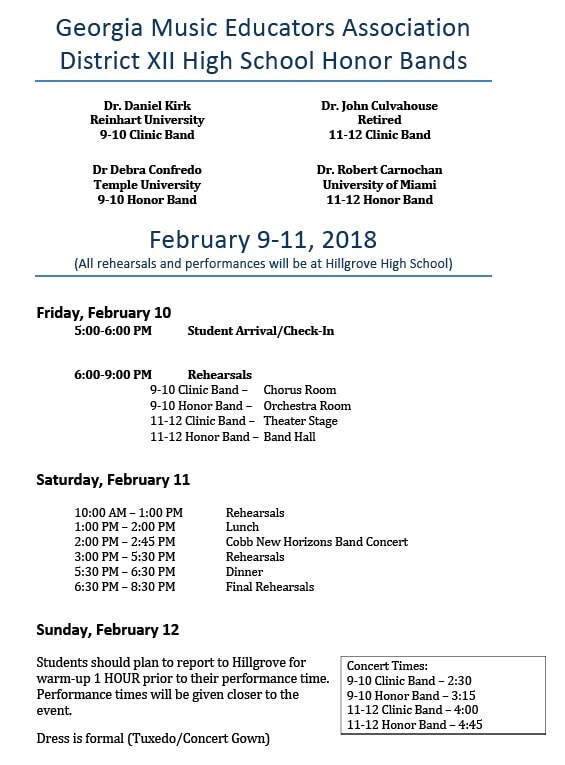 Students will purchase their meals for honor band weekend separately; not through your booster club. To do so, visit the link at the bottom of the page. Please start by clicking the "Learn more about this Show" link to see the details and menu. Then you can purchase your meal tickets. Once you have done so, you can either bring a printed paper ticket to the event, or just show your digital ticket on your personal device to get your food. We hope this will streamline the process dramatically. In the case you choose Gluten Free or Vegetarian options - we will reach out to personally for more detail. **THE DEADLINE FOR MEAL ORDERS IS MONDAY, FEBRUARY 5TH AT 9AM**. After this deadline, no late orders will be taken. Students who do no order will be responsible for their own meals.